ask yourselves why would nasa be pleading ZEUS for a mission to MARS? Thx for this 1 Bob, it was a beauty. is the dripping tap going to be turned on full flow soon? 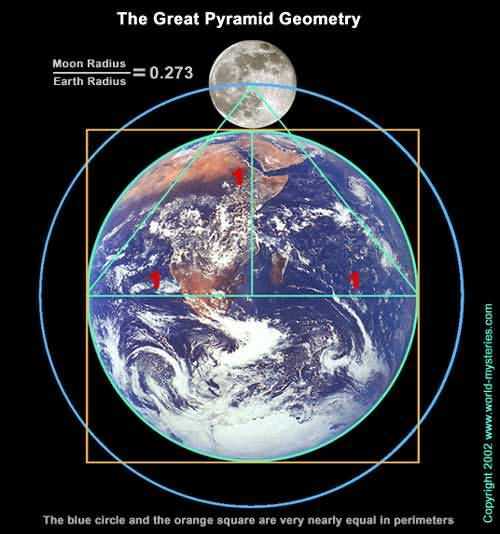 considering the size and duration of the cover up, wouldn't the explanation of the moon's origin and function i put forth earlier, be a perfect match to the story? Thanks for the thread T.
I just found it after you pointed it out in "Conspiracies exposed in music". I find this very interesting and couldnt stop reading till I reached page 4. I immediately started thinking (or remembering, who knows?) while I was reading through it. Even if this would not be true it could explain/answer almost everything. You kind of cant prove it wrong, can you? I think it is very possible that there is a whole world of beings living among us. The war might even be going on right now. This is how. We live in our 3rd dimensional world. The fourth and higher dimensions, in my understanding, are a space within the space. It is like in the movies when there is a door in the middle of nowhere. You can walk around it and it seems to be just standing there. But when the characters in the movie open it and walk through they end up in another place, most often some adventure land or similar. In that adventure world there are many beings. All living in a space we cant see from our 3d world. A space within the space. We cant know what is going on there right now. Are the sides preparing for the war of Earth, or have the battles started? Who are we? How can we be used as slaves without realizing it? I have always believed that when we die that is not an end. Just a change. I also believe that we come here (at least to start with) to evolve spiritually. Now lets say that for 12.000 years ago there was a thriving civilization here on Earth where spirits came to evolve. Maybe they stopped here for some lifetimes but eventually moved on to something "higher". Lets just say that this civilization was/is a part of the Galactic Order. Then the Draconians came along. They figured out that they could not win the Galactic Order in their "spiritual" form so they attacked in our dimension. The 3d one. That is where we are vulnerable. And we are vulnerable because in that world we are to learn. You dont learn much unless you are vulnerable. They came in their planet like battleships. One of them is our Moon. The battle started and the Moon was bombarded like you describe. It was bombarded because that is the only way to defend your self in this dimension against a "weapon" like the Moon. The Draconians came prepared on a huge craft with the feature to use enormous gravitational forces as a weapon and won the battle, but not the war. There are three types of weapons to destruct with in our dimension. Gravitational (bombs), frequency changer (ice, heat (fire, laser)) and electrical (electromagnetic). The Draconians knew this and built their spaceships according to it. They probably dont have any electrical devices and heat doesnt effect it. So the Galactic Order tried the only thing they could at the time and bombed it. The only thing the Draconians had to do was to come close enough to Earth to create a massive weather change and floods ruining everything that was there except from some few buildings made of so heavy rocks that they stood firm and still stand raising questions for us today. Some, including me, believe those buildings have messages meant for us. Now the Draconians had won the battle. Time for phase two. In a multi dimensional war you might not be able to just fly down from the Moon to Earth to inhabit it. If you are a creature of another dimension you have to "cross over" by some means before you can travel in the dimension you wish to travel in. There we come to reincarnation. They have to be born on Earth. Just like we. That might be how they moved from the moon to the surface of the Earth. And that is how they keep us in prison. When we die today we are not free to "carry on", we get reborn here. This "migration" of the Draconians from the Moon or other places to Earth takes "time". But I have said here on Chani before that I think time is only a measurement of matter moving in our 3d space. So this war that seems to us as some tens of thousands of years might just be a days battle in the whole picture. No they are about to complete the "migration". That might be why Earths population has been increasing constantly as far back as we can "see" (just thoughts). So are the enemies among us? In a way they are and in a way they are not. I agree that there are only few who are of pure evil. The generals if you might call them that. Those not from the Galactic Order kept as prisoners are just soldiers of the Draconians army. Just like not all nazis were bad or evil, they were just soldiers doing what they were told to do. It might be that the Draconians are not only going to empty the Earth for all resources of value to them. They might also be planning to make all of us their soldiers, kind of like the Cyborg do. They are manipulating us and making our world kind of a Matrix. We are used again and again through out many lifetimes to work and fight for them. You could connect it to some other threads here. Phillipbbg is very keen in finding interesting "stuff". Are the Draconians making us build all kind of defense weapons? Are some of our buildings just huge weapons that can be used to fight between dimensions? The Draconians are keen. They know that the reinforcements from the Galactic Order cant just enter our dimension and attack. We would fight them. We would see them as a threat. So they are in kind of a hard position. I think that they might be trying to contact us. Some of us can receive some of it. Some of us more than others. But most cant receive anything. They are too distracted by the "big plan" the "matrix" made by the Draconians to be our reality. The reality that are our chains. It is now kind of a waiting game. But waiting forever leads to nothing. So if this is real then I think we will see some actions in near future. Well, I think I have managed to explain the snapshots that flew through my mind while reading this thread. Do I believe it?? No comment. All I know is that my every day reality seems from time to time unreal. That is why I seek. And since I am seeking I cant rule out some things that I find with a "just because" attitude. I want to add that if this is true I dont think the Draconians need to be lizard like creatures. They could be similar to us. Just another race. And maybe we have mixed up with them now. Who knows? Thanks again T, very interesting "stuff". WOW narnug that was an awesome post. It got my grey matter thinking. Kudos to you. Only to the extent of what we in 3D land can absorb (which ain't too much, in the larger scheme of things). One drip that we can maybe get our heads around, perhaps, is that the real "higher ups" can dissolve the moon with a thought (which is how they created this whole universe in the first place). I say "they", but singular and plural don't even apply at that level. Interestingly enough, that level is also true of us in our light being form, but since we've temporarily parked ourselves in 3D hosts, we've slowed our vibrating frequency and dumbed ourselves down into believing we're the animals, at the mercy of a dream of duality. It's all for a good cause, nevertheless -- the perfect plan of Source -- so we can relax in our critterly ignorance and be happy, knowing just about nothing, except that Love is all that really matters. In the balance, that's all we really need to know anyway. That's the biggest drip of them all, in fact! I agree with your wise words Bob. Our 3d world was the perfect "place" to attack us at. The Draconians dont have a chance fighting "us" in our "strongest" form. But here we are vulnerable. To me it all adds up. It is like the Draconians have said "check". It was a clever move Evil, but clever. If not true, it´s still a great story. when we are asleep and dreaming, we may run into all sorts of menacing characters, but when we wake up in the morning, where did all the creeps go? has the Crescent Moon / Muslim Brotherhood taken on a new meaning for you yet? is this the reason for the sudden change of heart? did they really cross the Rubicon? "fat, drunk and stupid is no way to go through life"
In my world, whenever I give reality to dreams, I become their slave. For example, by believing that I was born as some human animal named Bob, I forget my true immortal freedom and become a time-bound slave to that fictional character -- a case of mistaken identity that we all seem to go along with, at least until we begin to realize that the essence of slavery is to imagine oneself to be a person, to have a past and future, to have a position that can be ripped off by cunning reptilian dream fragments. Depending on one's angle of vision, this psycho-physical realm (earth) can be a heaven or it can be a hell. We manifest our own reality, both individually and collectively. From the perspective of Clear Seeing, it is utterly perfect just as it is. Even deeper than that, we recognize that all this drama has never amounted to anything more than a virtual reality, and our participation in it (this life) a mere eye blink in a leisurely afternoon of timelessness. If you were to find yourself in these higher vibratory states, you would tacitly realize that you are already always forgiven, that you are loved unconditionally, and that you have never actually been bound, except by the limitations of your vision that you yourself accepted in order to have the 3D human animal experience. From a child's eye view, elementary school seems to never end. That's exactly what the Sucklord said when he was eliminated from the competition on "Work of Art: The Next Great Artist". Right, most of us could stand to lose some weight! could the energy lines (elevators) extending from the Earth be responsible for the protrusions in the Earth's magnetosphere extending against the solar wind, depicted in the sample photo below? "some thoughts have a certain sound, that being the equivalent to a form"
There are no two people that experience anything the same. 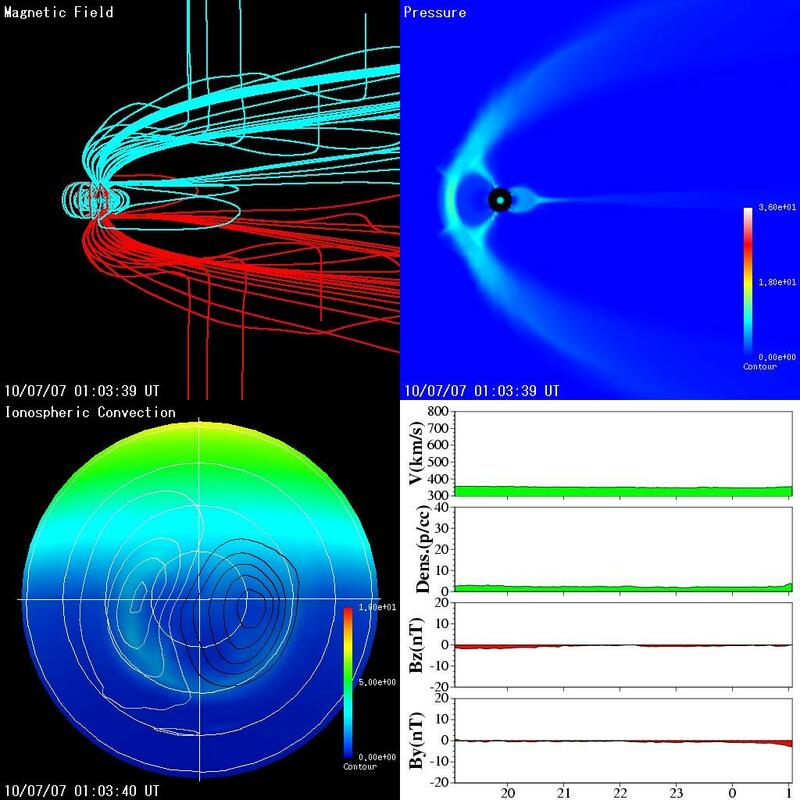 The magnetosphere protects us in more ways than one! Ah, my Friend, when at last I lost my cumbersome sobriety, stinking drunk on Love with no limit, I immediately gave away my substantial wine collection and never touched another drop. Now, in the mere proximity to Her, I crumble to pieces, more intoxicated than ever. You might say that love has made me stupid, but that is not so, since now I know why I landed here, and what this dream is all about. oh bob, fine wine is something to be revered, you gave yours all up? i would sit and watch it, turning the bottles 90deg/.. every 10 months, leaving it as fermented heritage to the next,. in remembrance of my presence within the "dream"